In a salad bowl, season the collard greens with Maldon salt, olive oil, and some fresh lemon juice. Massage greens a bit, this tenderizes them. 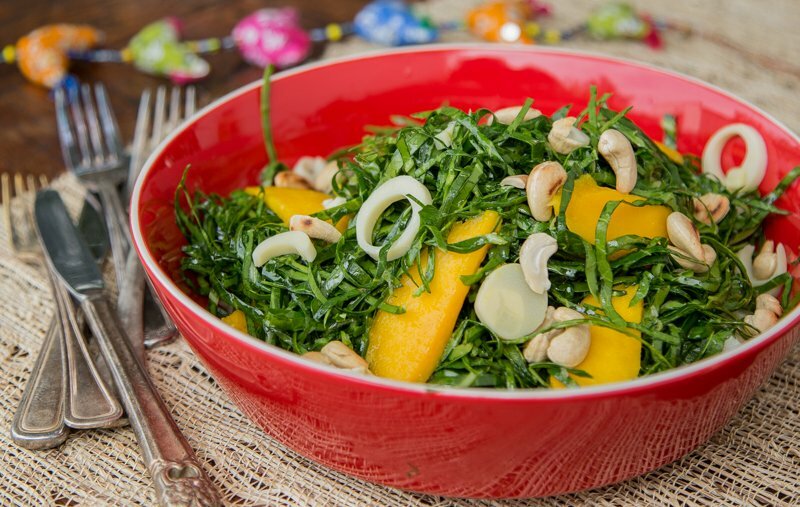 Top with hearts of palm, mango, and cashews. Simple and oh-so-healthy!